A tsunami is an unstoppable series of ocean waves -- called a wave train -- commonly triggered by undersea earthquakes and, to a lesser extent, by volcanic eruptions, undersea explosions, landslides and meteorites. Collapsing volcanoes can force large quantities of ash and debris into the water, producing waves. Landslides may also trigger tsunamis in a manner similar to that of collapsing volcanoes. Meteorite impacts, which occur less frequently than the other triggers, can also generate tsunamis. Approximately 85 percent of tsunamis occur along the “Ring of Fire” in the Pacific Ocean, where tectonic shifts frequently produce volcanoes and earthquakes. After the trigger event, the waves spread out in all directions from the trigger point and only stop when the waves are absorbed by land or by destructive interference caused by changes in undersea topography. Tsunamis can travel for hundreds of miles across the ocean’s surface and until the waves approach shore, their movements are nearly invisible. 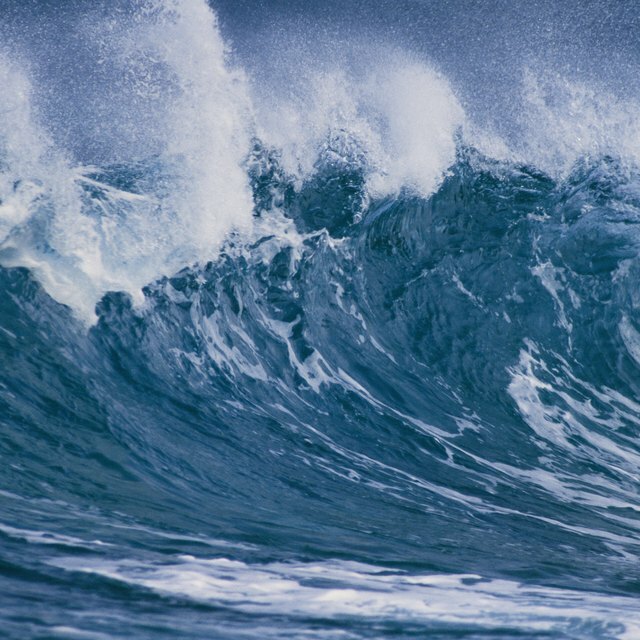 In the deep ocean, tsunamis move at speeds ranging from between 300 to 600 mph. As the waves approach shore and the slope of the seabed begins to increase, the waves slow down to between 10 and 20 mph and increase in height. As the slope of the seabed near shore sharpens, the approaching waves dramatically increase in height. While the surge of ocean water can reach up to 10 miles inland, collision with land spells the death of the tsunami. The trough of the tsunami frequently reaches shore first, generating a vacuum effect that draws coastal water back into the sea, signifying that the crest is rapidly approaching the shore. As the tsunami approaches, a thunderous sound similar to a passing train or jet aircraft can be heard. However, the heights of tsunami waves cannot be predicted, and the first wave to strike may not be the strongest. Therefore, it is imperative that members of the public do not return to the beach following a tsunami until emergency services deem it safe to do so. Major tsunamis are triggered by large earthquakes that register greater than 7 on the Richter scale and that occur at a relatively shallow depth of less than 30 kilometers. 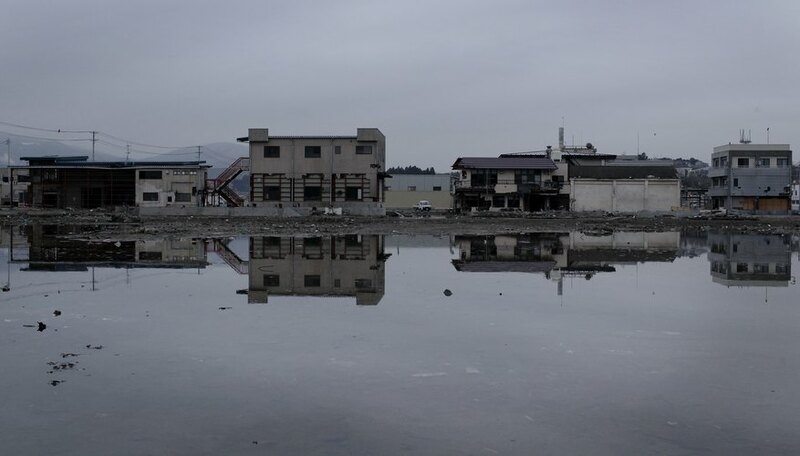 Although there are numerous examples of devastating events caused by tsunamis -- such as the 2011 Japan and 2004 Indonesia tsunami events -- the majority of tsunamis resemble fast-approaching tides and do not result in large, breaking waves of 100 feet in height or higher. Marker, Jonathan. "How Do Tsunamis Stop?" Sciencing, https://sciencing.com/tsunamis-stop-12336701.html. 24 April 2017.